Sean Szymkowski August 23, 2018 Comment Now! Update: The Lamborghini Aventador SVJ has made its Monterey Car Week debut. You'll find all the details at this link. 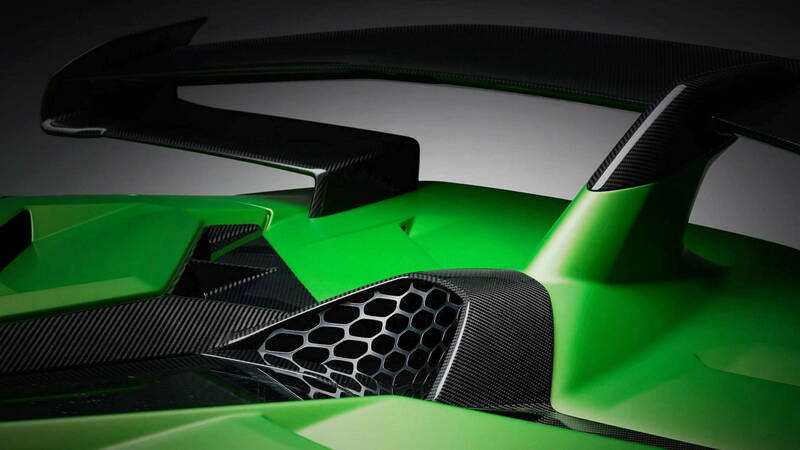 Lamborghini's Aventador SVJ is set for a reveal during this week's Monterey Car Week, which concludes Sunday with the Pebble Beach Concours d'Elegance. However, our first complete look at an unmasked example is here now thanks to a photo posted to social media by London-based dealership H.R. Owen. 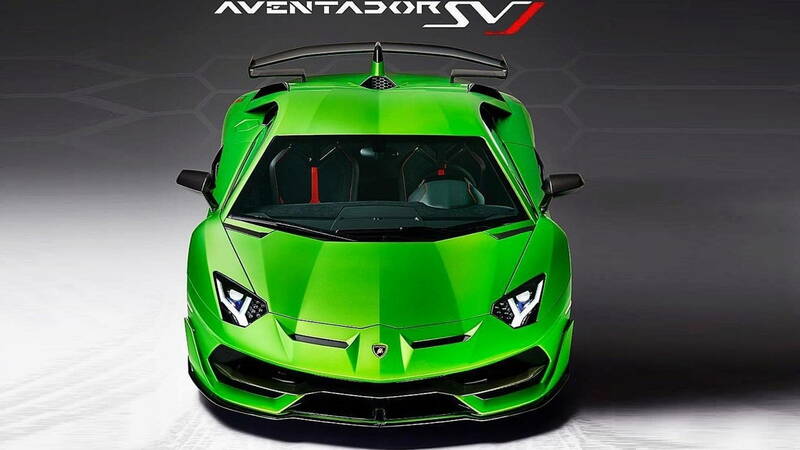 The photo plus previous teaser shots released by Lamborghini give us a clear look at the modifications made to the Aventador's exterior for the SVJ. Clearly visible is the new front fascia, rear wing, and the rear deck's intake. 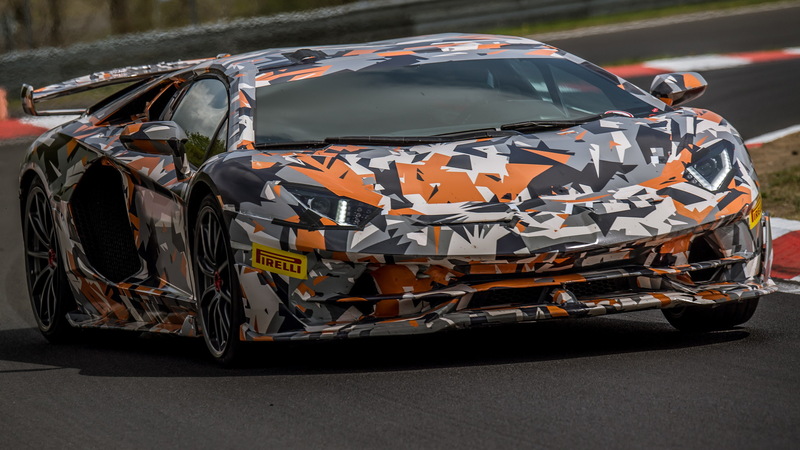 So far, Lamborghini has detailed a few areas of the Aventador SVJ after the supercar smashed the Nürburgring lap record for production cars in July. Upon setting a 6:44.97 lap time (and ousting Porsche in the process), Top Gear published a drive report where we learned that the car's 6.5-liter V-12 engine makes 760 horsepower and 531 pound-feet of torque. The figures are up 20 hp and 22 lb-ft over the Aventador SV. Additionally, the Italian supercar has a dry weight of 3,362 pounds, which is especially impressive considering the car boasts Lamborghini's Aerodinamica Lamborghini Attiva (ALA) active aerodynamics system. The aero system uses a pair of flaps in the front splitter that open and close to either disrupt airflow or maximize downforce. Channels in the rear wing work in a very similar fashion. We also know the SVJ's all-wheel-drive system, rear-wheel steering, traction control, and stability control have all been tuned specifically for the car to improve performance. Alas, the Aventador SVJ also marks the end of an era. Lamborghini confirmed the SVJ is its final car to feature a non-hybrid V-12 engine. 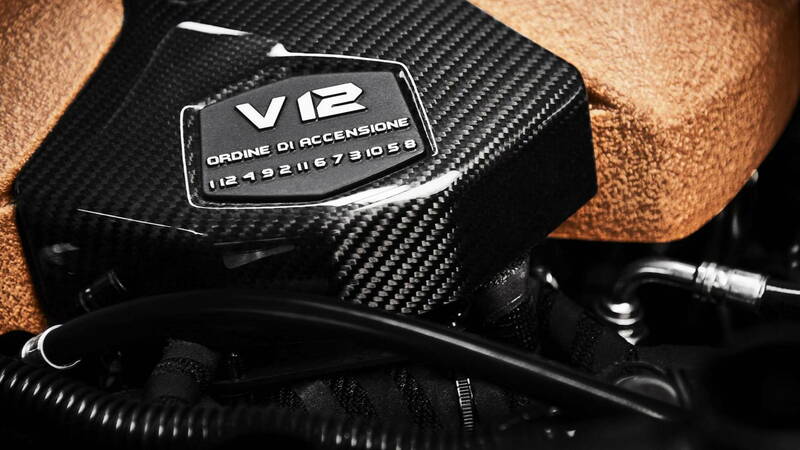 The Aventador's successor, possibly due in 2022, will likely introduce a hybrid V-12 engine to preserve the mill for at least one more generation. 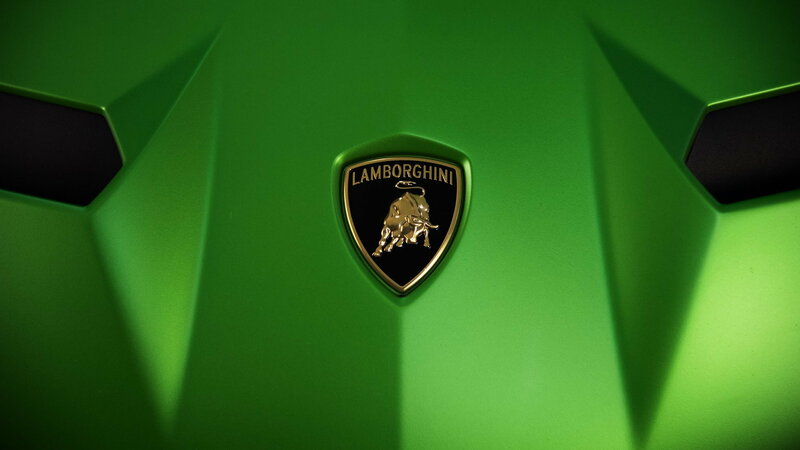 We'll know all the details on Lambo's latest supercar when it debut sin the coming days. For more Monterey Car Week coverage, head to our dedicated hub.